I cannot comprehend how this book has almost 4 stars as rating. The writing looks like it's from the hand of a grade school student, characters are 2 dimensional at best, and the dialogue between characters is obtuse and contrived. The IDEA of the plot is OK, but how it's constructed in writing is just appalling. The writing is SO rigid, tedious and naive that it took me some serious mental wrestling to get from about 10% read to the last page.I truly cannot understand how this kind of wretch of a book has been published. If this truly was proofread, the reader must have non-existent standards.The quality of writing is an insult to anyone over 5 years of age. The story was good, but the writing was terrible. There were a ton of grammatical errors, and the author would repeat himself a lot. The story changed viewpoints between different characters only to describe the same scene again. Most of the time these extra viewpoints did not add anything to the story; there isn't anything wrong with letting the reader have to figure out what someone else is thinking. Reading the book made me wonder if the author proof read his own book. If he had an editor then that person should be fired.With all of that said, I did enjoy the story as a whole. Some of it was predictable, but not all of it. No. No No No No No NNNOOOOOOO!!!! !This was the worst book I have ever read. I didn't even finish this monstrosity of a novel. I ended it at 40 percent, and for anyone who did finish this: I am so sorry.I read the description on kindle, saw it was cheap and bought it because, hey, I'm always up for a short entertaining fantasy novel. I wanted to throw it up against the wall in the first chapter.Here are some things missing or wrong with this (turdblossom) (cough) book.1: Plot2: Dialogue3: Descriptions.1: The Plot. Oh dear lord the plot. Let me start with the fact that a boy that has had a stone for YYYEAAARRRSSS and wakes up one day to discover that it has changed color. Instead of thinking anything of it, the main character decides to do absolutely nothing about the stone, and go on with his normal day. REALLY? He doesn't even THINK that's a little bit odd. I mean come on!2:The dialogue Let me just say that the way these so called "characters" talk is ridiculous. They talk like they're reading a contact list. If you switched out all of the dialogue with random list of names, it wouldn't be any less entertaining.3: Descriptions. Well, here's the thing, there just aren't descriptions. Of anything. ever.My Mom: G, I think you're missing something...Me: What? My Mom: You know, the bandits...Me: OH RIGHT! As my mom so nicely reminded me, there is ONE part with descriptions. When the bandits are raiding the camp, killing people and chopping limbs off. Then the author really gets into those descriptions. But entering a bar and... What does it look like? We shall never know. Thanks for reading my review, I hope that you enjoyed. OH. MY. GGGGGGOOOOOOOOSSSSSSSHHHHH!!! It is a rare I do not finish a book. I put this sucker down half way. I think is it. This is the WORST book I have ever read. It is absalutley official. It has three really bad things about it.1: The plot2: The descriptions ( Unless body parts are being chopped off)3: The characters.I started this book because I like fantasy and after reading an exciting description I though "hmm. I will give this a try. What could go wrong? "Note to Former self - A lot could go wrong. Let's start off with the plot. So this kid named Traven has had this rock or stone or whatever for YEARS. Let me repeat. YEARS!!!! Suddenly one day it changes color but he just IGNORES IT and is like, "Oh whatever. Rock I have had for years changes color. That isn't suspicous at all. On with my day! "Come on. No actual person would do that. Any actual person would think that it was wierd and that maybe the stone was important! That was the first thing I was like "ok........." about in this book. Now onto the description, well, I can sum up the descriptions like this. There aren't any. Oh wait, when the camp is on fire and everyone is being hacked to peices by bandits, well that is descriptive. My dad was reading it and he was like I QOUTE "Is this stuff supposed to be in a kids book?" UNQOUTE The Characters. Wow. This sort of relates to what I said earlier but this was so bad I have to say it again. These characters do not act like real people at all. The worst part about them is the way they talk. This sound like robots reciting the phonebook. Switch the two and youw wouldn't recognize the differece. So, there you go. if you like this book good for you. I don't get why you like it but ok, great for you. Just my opinion. Don't hate me. For an independently published book. This was really good. I have read many indi books due to plot holes and rediculus dialogue, but this book held my attention till the end. I will certainly be continuing the tale. This book gets off to a long rough start. The authors immaturity as a writer is immediately apparent, and the "simplistic" exposition and dialogue made the story seem stilted and the characters shallow. Honestly, a third of the way through I considered abandoning it, but I've stuck it out with worse books, and for some reason just have a hard time giving up on a story once started. While this proclivity has lead to some literary suffering on my part in the past, as it turns out, I'm glad I stuck with this one. I'm not saying that it turns into a beautifully written masterpiece half way through, but the author definitely has some talent in the story telling department, and though there is obvious room for improvement in the finer details of the craft, his story is engaging. Once the pace picked up and it smoothed out slightly, I was able to invest in the characters and conflicts a little more readily. In fact by the end I was eager to read the next installment, which was the farthest thing from my mind while slogging through the beginning. I feel like this book was ok the way it is, but it could have been pretty darn good with more time and polish. I know that's probably a horrible thing to say about something that someone probably spent years working on before I picked it up for a buck, but lets face it, if you want to compete in the huge fiction market, or even just fantasy, you have to bring pretty good game. Still, while I wouldn't recommend this piece to any book snobs, for those of us that can read and enjoy a story with a little more perspective, this is a pretty good buy. The Wielders Awakening was a book I picked up in the kindle store fairly randomly. Saw it was a dollar, thought description seemed mildly promising, and figured it was worth a shot. As is usually the case with such books, I went in with low expectations and modest hopes; and was pleasantly surprised as I read through it.What I found was a highly enjoyable coming of age light fantasy story. Nothing about the tale reinvents the wheel as far as such stories go, nor does it really try to; and for me that worked in the story's favor. It was a perfect read for a quiet evening.Contrary to the impression the plot description gives, this book is largely about a single point of view and that's Traven's. Perspectives do change now and again, but the split is 80/20 in favor of Traven. It is guilty of starting a bit slow, starting with about a hundred pages of fairly awkward innocent young woodcutter-ness and little indication of where the story is going. But things do pick up after that and, from that point on, it's a pretty hard book to put down. And when I finally did put it down I was pretty eager to pick up the next installment.I have read the entire Wielder series now and can say that the books after this are as good, if not better, than this one was.So if you are looking for a fantasy read in the vein of Edding's Belgariad series or maybe Feist's Riftwar Saga, I recommend the Wielders Awakening and along with the rest Wielder series. The author is talented at creating a story, but needs practice at storytelling. To be fair, he wrote this particular book as a teenager, so I'm interested to read the sequels to see how his writing matures. The story itself is interesting, and I like how he created the world. It gets off to a slow start, but I don't mind that. The majority of the book is building characters. It's not until once in the middle and the ending that you see any real action/tension. There's one spot in the late middle that I think was supposed to create tension in the reader, but I figured had to happen, so it didn't grip me. The potential love triangle is interesting to me. It doesn't quite fit the normal fantasy love triangle stereotype, so I really don't know where it will go. I like that. Overall, I think the author has a lot of potential, so I'm excited to see how he grows. Let me start off by saying the basics of the story is the same as others in this genre for the most part. Boy is introduced; boy matures; boy becomes the world's hero. However, the author does a great job at the storytelling and the building of the characters. I enjoyed the descriptive storytelling that some seem to have found badly done. I was able to "get to know" the characters and their reasoning and have read the entire series and liked every one of them. I was saddened to find that the author ended the series. I would have liked to find out more information about Traven's past and that of the ancient Wielders. This was offered free on amazon and I really needed a book to read, so I said what the heck, I'll give it a try. I absolutely loved it! The main character is so cute and you love him right from the very beginning. This is truly a character you want to win and get everything he wants. I thought this book was written fairly well and was a great read! I immediately bought the next two books in the trilogy even though at the time they were kind of up there in price for ebooks. The actual story isn't bad, interesting & has potential.The writing & editing are very much lacking. Each sentence looks to have been crafted by itself, there is no flow. This is for both description and dialogue, nothing flows and you have to force yourself to read it. There is also a frequent tendency to repeat information you just read in the next sentence, further breaking the flow and showing a sever lack of editing. The story is compelling and the character development helps to overcome the amateur writing issues. The author is clearly inexperienced as evidenced by the poor and repetitive word choices, grammar errors, and descriptive passages that feel like he's trying too hard. I found it worth reading and look forward to reading the other books in the trilogy. Great fantasy/magic book. I'm pleased to have found another author whose writing style I really enjoy. I'm impatient to finish some of my other reading projects so I can continue reading this trilogy. This was a fun book to read, I enjoyed it. There were many twists that I did not expect, and I enjoyed the surprises. Many parts are real page-turners, forcing me to stay up late reading them. I would recommend it to any fantasy lovers. My friend's husband wrote this book so I thought I would give it a try. I really enjoyed it. Sometimes adult fantasy books can be a bit dark, but this isn't at all. It was very detailed in parts, but it was still a real page turner filled with adventure. An Enjoyable Read A little magic, a young man, a beautiful princess and a mighty warrior, all the ingredients for a fun few hours, There's not a lot of depth to this book, but still, I'm looking forward to the next one in the series. 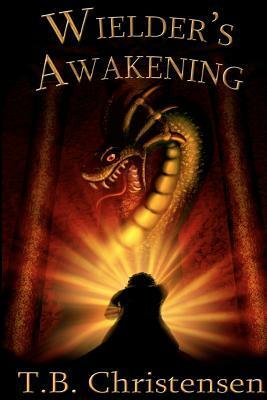 Builder's AwakeningThis was an engrossing story, held my interest throughout the book. I'm looking forward to the rest of this trilogy. Good story and somewhat original however, pacing leaves something to be desired. Very enjoyable though! Good first book, a little slow to start but picks up very quickly. overall enjoyed the story plot and character development. A good start to the series, i thought the writing seemed that the author was new to this, but as the book and series progress you can see the growth in the author. Awesome story line. Interesting characters, and events. Very well descriptive. Really enjoyed reading this. Good story, poor grammar. The second book is better - it seems like he had someone proofread it. The first one was difficult to complete due to the bad grammar. Pretty conventional coming-of-age wizard fantasy. The writing is a bit amateurish, but there were few really distracting mistakes. The magic system isn't well developed, but Traven, the young wielder (wizard) very gradually discovers his talents. There is just the beginning of a hopeless romance. I've read it twice now, so clearly it managed to keep my interest. See my review for the last book. I suspect there's a decent story here, but the writing feels amateurish: Too much telling, not enough showing. Grabbed the free sample for Kindle, but didn't finish.